Legislation is so important now for Landlords and keeping on top of renewals is an ever-growing job; there is, however, some maintenance that is needed in between times and none more so than the testing of smoke and carbon monoxide alarms. This is, for obvious reasons, so important and the good news is that it is so easy to do. After being tested at the start of a tenancy, tenants are encouraged to test the alarms on a monthly basis. Smoke alarms need to be installed in all residential let properties; these must be mains operated and interlinked. You need to have these alarms in all hallways and all daily living spaces; along with a heat alarm in a dining kitchen. Carbon monoxide detectors do not require to be mains operated but do require to be in any room that has a solid fuel burning appliance or best practice would suggest in a room with a working gas appliance. 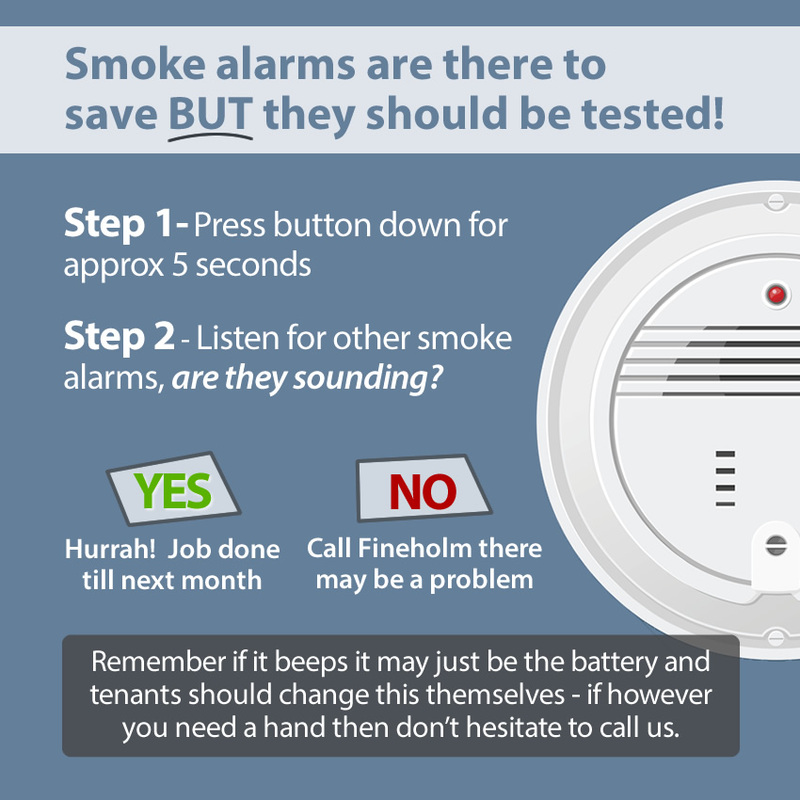 Take a look at our quick and easy guide on testing smoke alarms.